Male of ssp. britannicus. Taken at Catfield Fen, Norfolk on June 25th 2013. Male of ssp. gorganus. Taken in the Vercors NP, France, on July 22nd 2018. Larva. Taken at La Janda, Spain, on November 6th 2016. 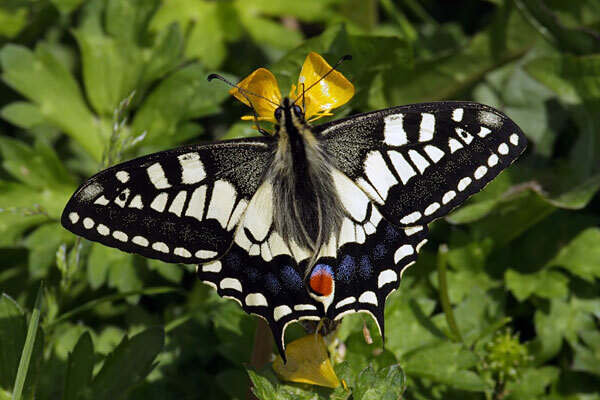 The Swallowtail is the most spectacular British butterfly due to its size and colour. In Britain the britannicus subspecies is only found in the Norfolk Broads. Individuals of the continental subspecies gorganus reach southern counties of England in some years. 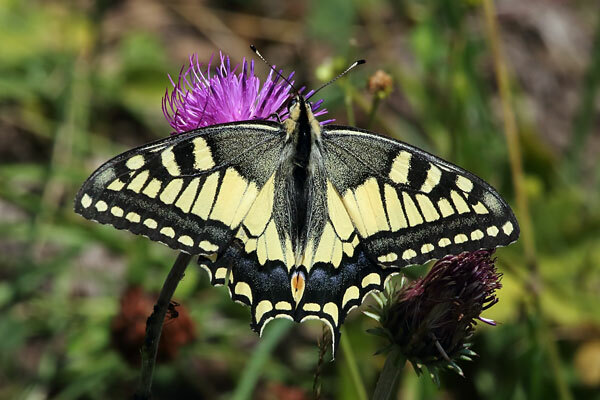 The Swallowtail is restricted to the fenlands of the Broads where the larval foodplant grows. In Europe it is a butterfly of dry flowery meadows. The main flight period is from late May to the end of June, and there may be a partial second generation in August. The pupa is the over-wintering stage. In Norfolk, Milk Parsley (Peucedanum palustre) is the sole larval foodplant. 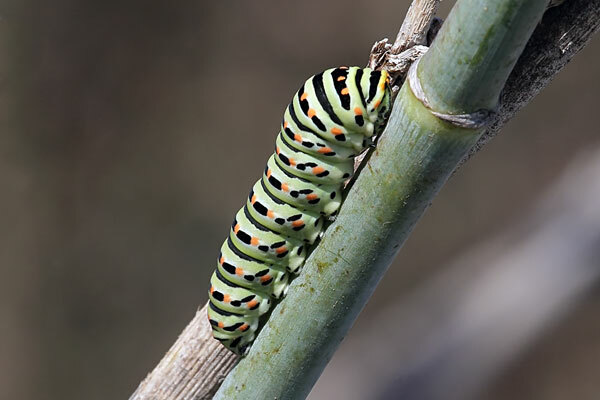 In Europe the larvae eat various umbelliferous plants. Adults feed primarily on Bluebell, Devil's-bit Scabious, Ragged Robin, Red Clover, Teasel and Thistles. Males patrol around shrubs looking for females. Mating can last several hours. This species has Near Threatened status on the UK list.